Koothara malayalam movie directed by Sreenath Rajendran will have Super star Mohanlal, Bharat, Sunny Wayne, Tovino Thomas and Ranjini in lead. Written by Vini Vishwa Lal, the movie will be produced by Shahul Hameed Marikkar under the banner of Marikkar Productions Reloaded. With the shooting already started at Kozhikode, the movie will also be shot at Lakshadweep islands. The music for the movie will be set by Gopi Sunder. 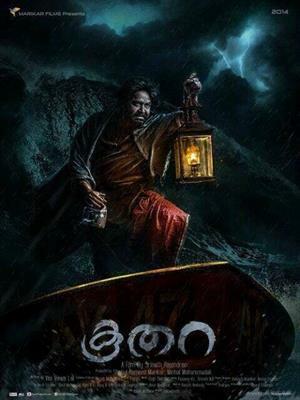 Koothara, one of the most awaited malayalam movie to be released in 2014 has started its first schedule of shooting at Kozhikode. Directed by Sreenath Rajendran, the movie will have Super star Mohanlal, Bharat, Sunny Wayne, Tovino Thomas and Ranjini in lead. Written by Vini Vishwa Lal, 'Koothara' will be produced by Shahul Hameed Marikkar under the banner of Marikkar Productions Reloaded. Already the movie has created anticipation not only for its unique title but also for the powerful cast. Sreenath Rajendran who rose to fame with his directorial debut 'Second Show' is gearing up to make his second outing a grand success with 'Koothara'. The thrilling first look poster of the movie featuring Mohanlal reveled over the social media sites has taken the excitement to the next stage. Much interestingly, Mohanlal would be seen along with the young actors Bharat, Sunny Wayne, Tovino Thomas first time. Another highlight of the movie would be the comeback of Ranjini onto the silver screen after a gap of 20 years. Ranjini who had shared screen space with Mohanlal with the hit movie 'Chithram' is ready to create the magic on big screen after 2 decades. Ace actor Mohanlal has already allotted 15 days for the shooting for the movie and is expected to join the crew very soon. Movie enthusiasts would be getting an exclusive chance to watch the picturesque beauty of Lakshadweep islands. Young south star Bharath will also make his presence in the movie who is currently on the peak of his acting career. Bharath who had shown his mettle getting featured in 'For the People' is back to malayalam after a decade. Bharath is also excited to work along in God's own country with Mollywood superstar Mohanlal. For the music lovers, young musician Gopi Sunder will set the tunes which would enthrall them.